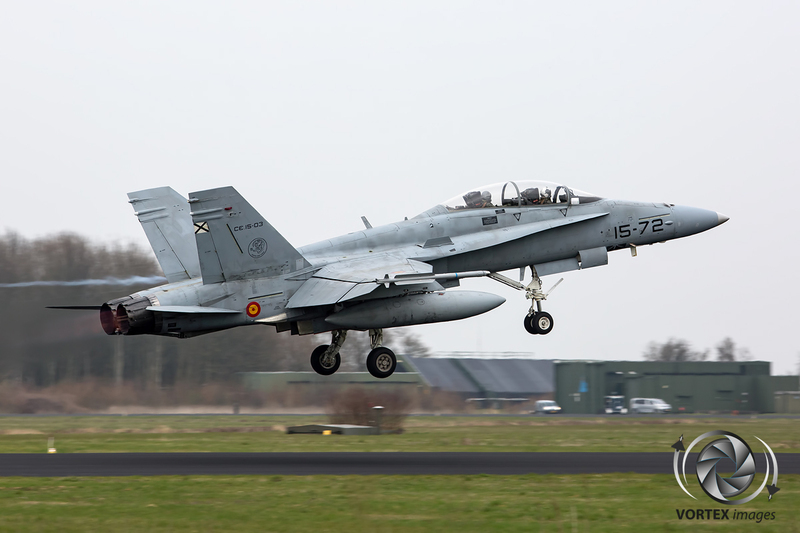 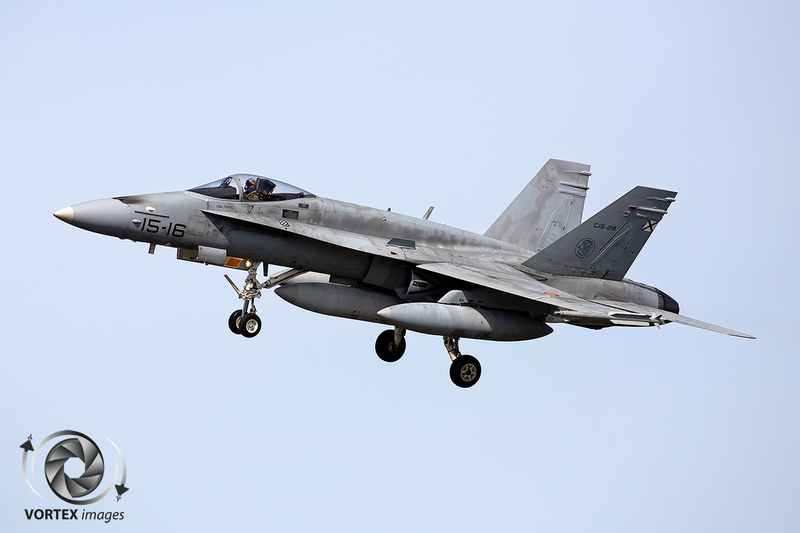 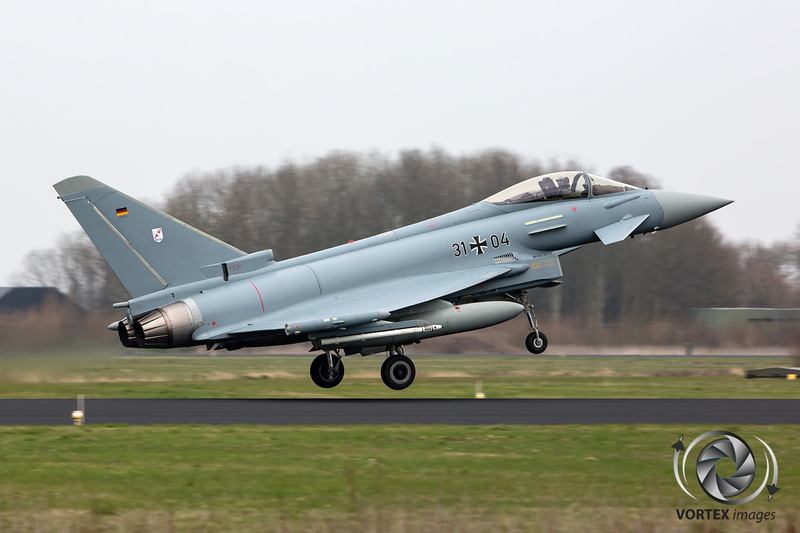 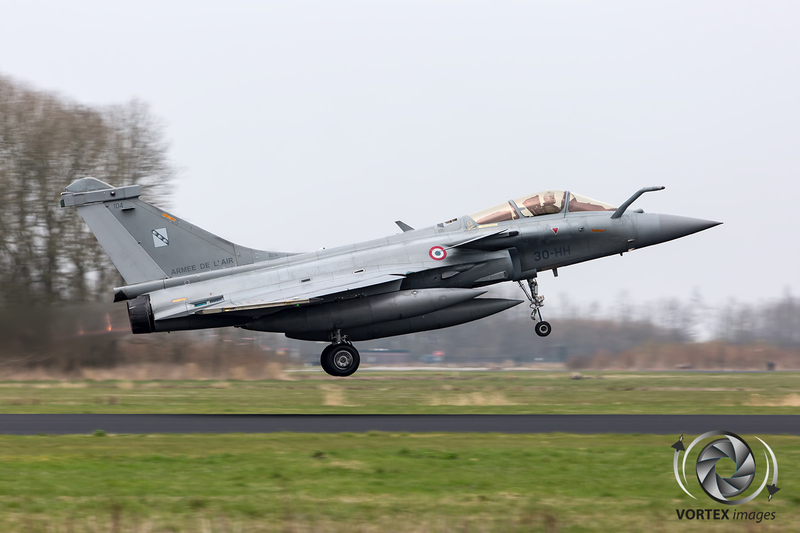 At its most northern base in Leeuwarden, the Royal Netherlands Air Force organized its annual international military exercise Frisian Flag 2018 from 9th April till 20th April. 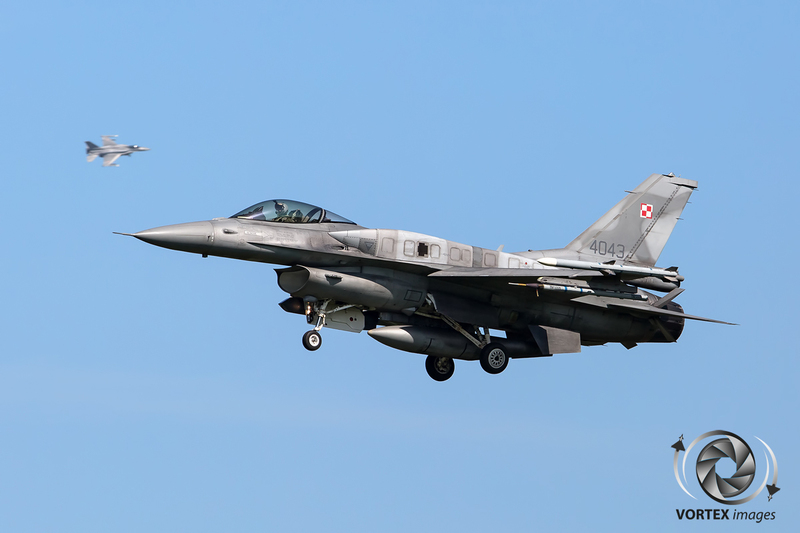 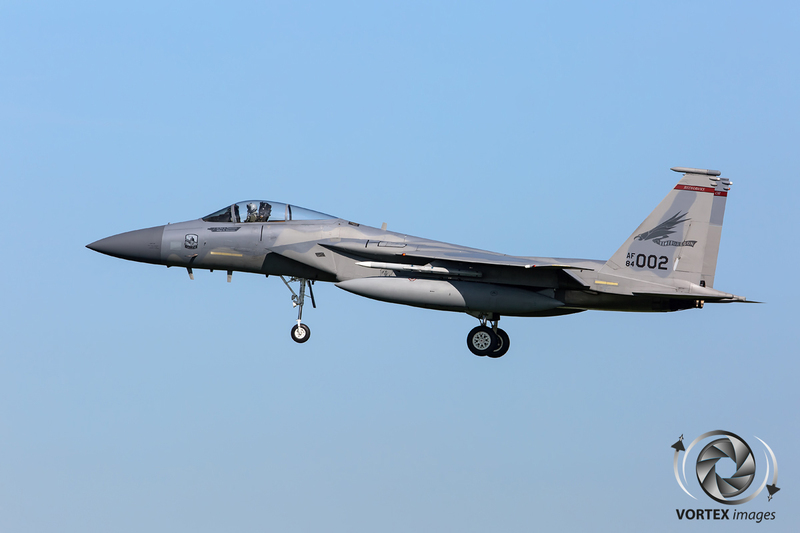 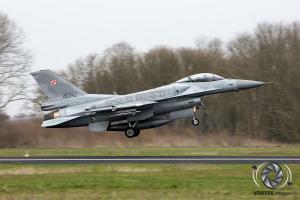 This year once again saw the participation of the United States Air Force Air National Guard and a first, the participation of Polish Air Force MiG-29 Fulcrums. 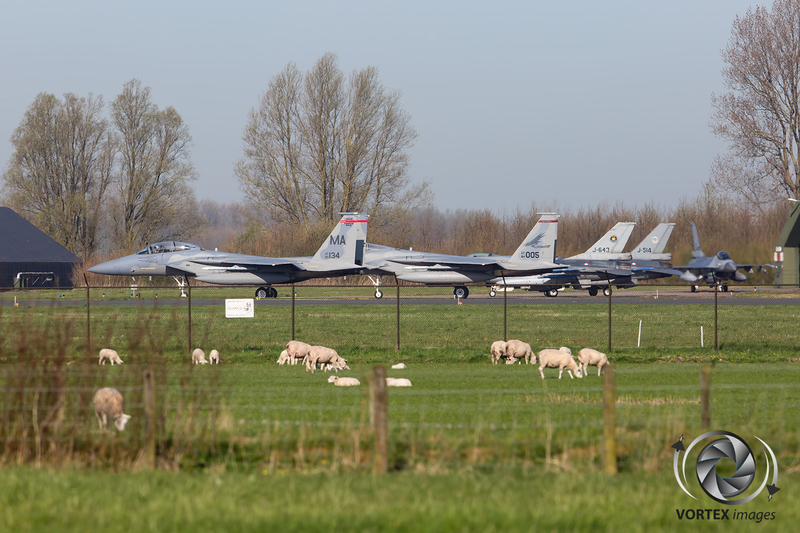 Airforce base Leeuwarden started out as a civilian airport in 1938. 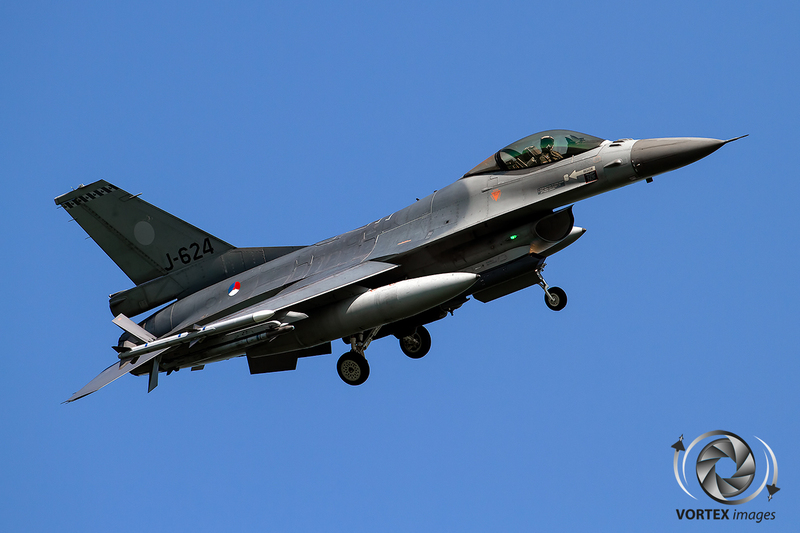 When the Netherlands were occupied by the Germans, airport Leeuwarden was turned into a night fighter base by the German Luftwaffe. 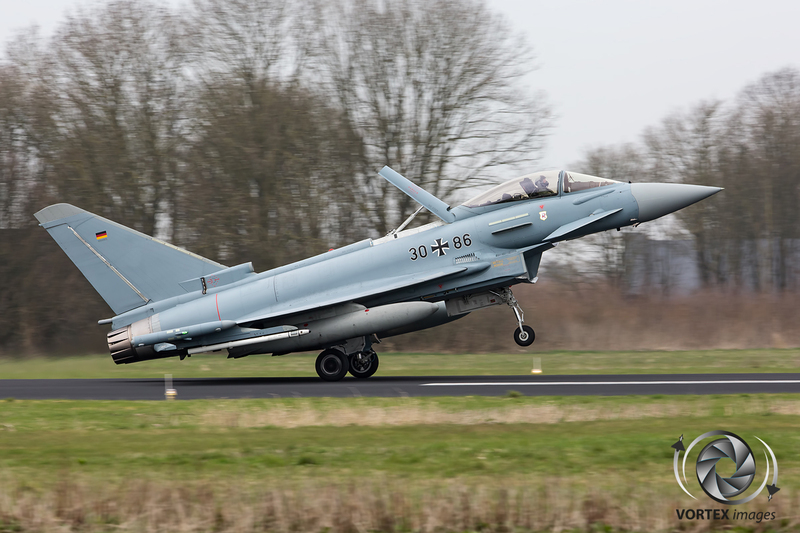 Fliegerhorst Leeuwarden, as it was now called, was located very strategically as the Luftwaffe could launch their fighter aircraft,such as the Messerschmitt BF109, easily to intercept the Allied bombers that were assigned to bomb Northern Germany. 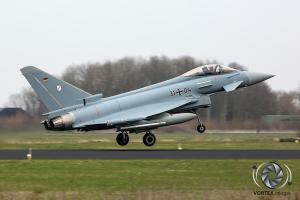 Also the German Luftwaffe stationed bombers at Leeuwarden to bomb England. 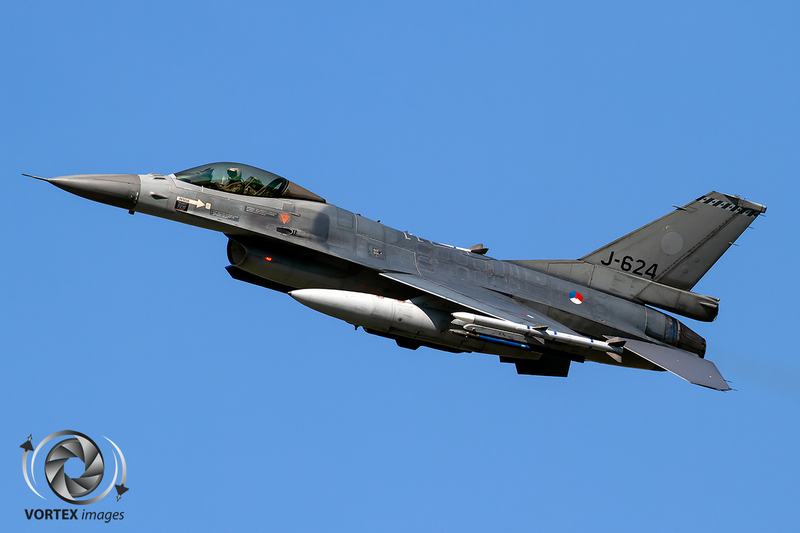 Fortunately the Netherlands was liberated in 1945 and Fliegerhorst Leeuwarden became an airbase for the Royal Netherlands Air Force (RNLAF). First used by them in 1949, Airbase Leeuwarden was a Fighter aircraft base for the RNLAF from the start out. 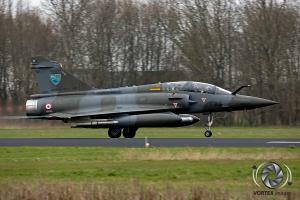 This also resulted in being the first airbase at which the RNLAF would station it first Jet fighter aircraft, the Gloster Meteor. 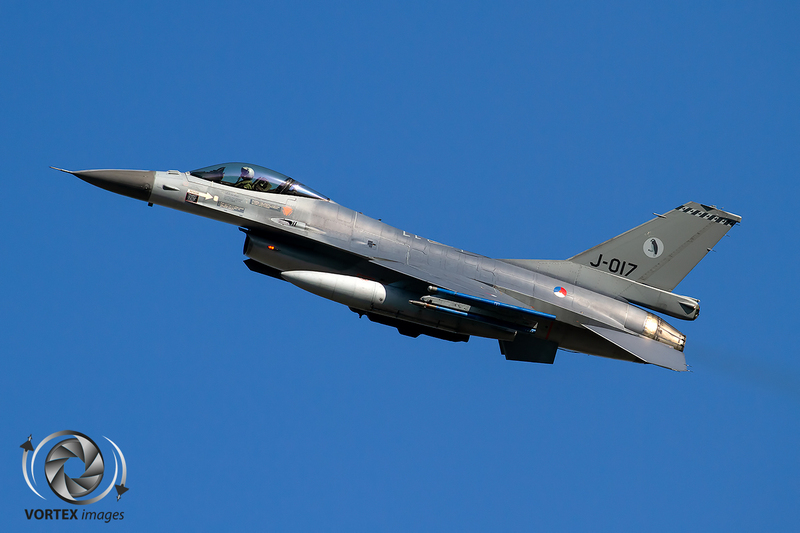 After iconic aircraft such as the Hawker Hunter and Lockheed F-104 Starfighter were operated from Airbase Leeuwarden, in 1979 the General Dynamics F-16 Fighting Falcon was introduced. 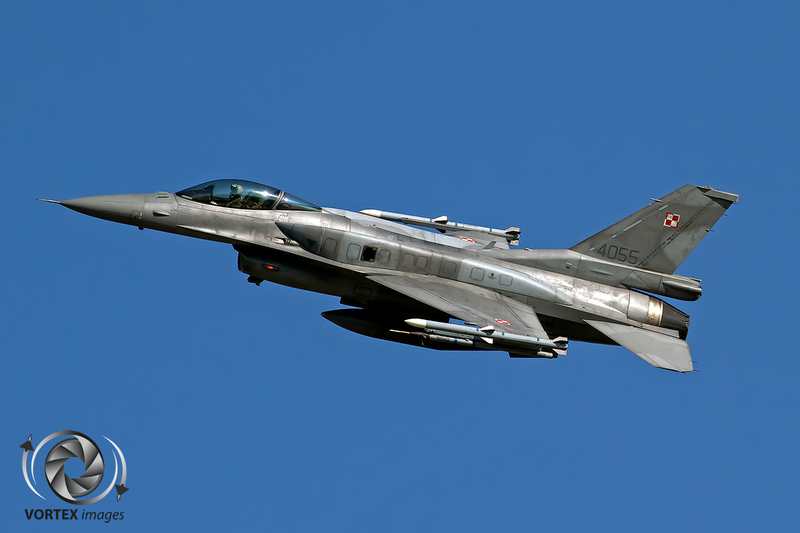 Long term guests of Airbase Leeuwarden were 322 “Polly Grey” Squadron, which has its roots within the Royal Air Force as an all Dutch manned fighter squadron during WOII, and 323 “Diana” Squadron which was actually based at airbase Leeuwarden since 1949. 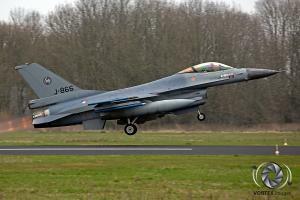 323 Squadron is the creator of the exercise Frisian Flag due to the fact that the unit was the Tactical Test and Evaluation squadron of the RNLAF F-16 fleet. 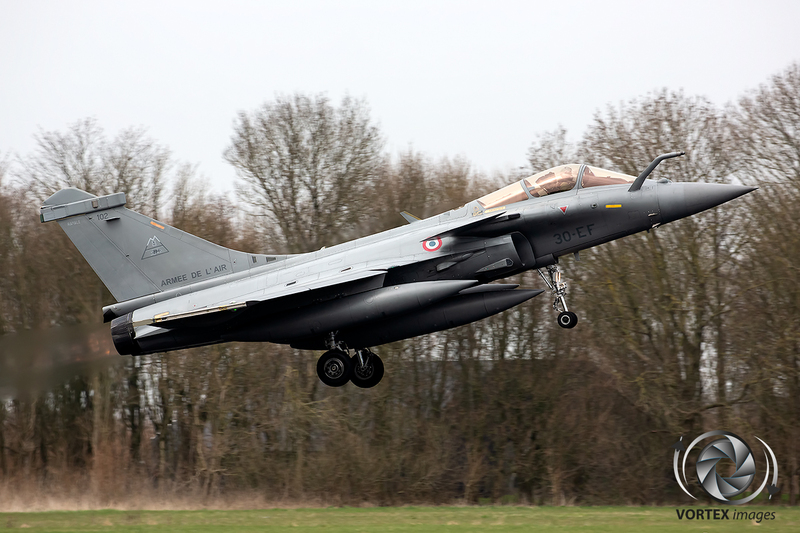 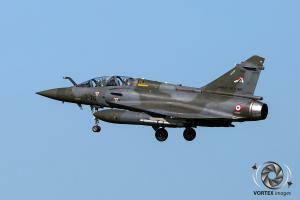 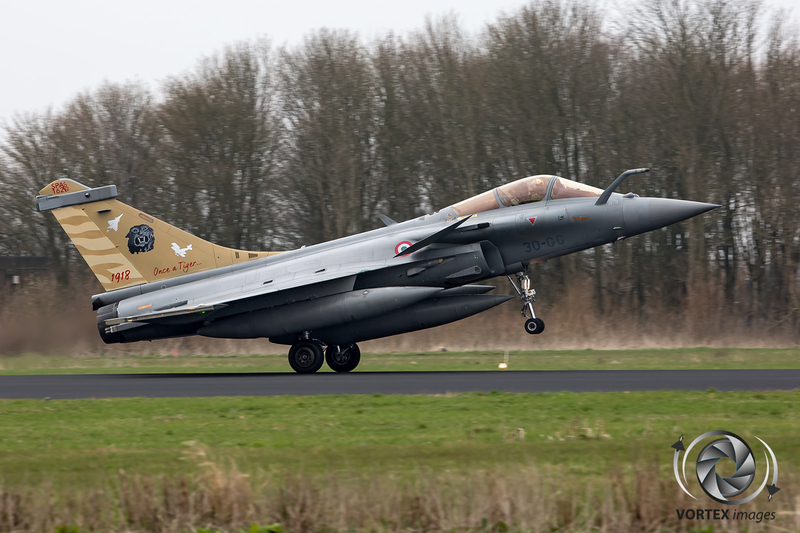 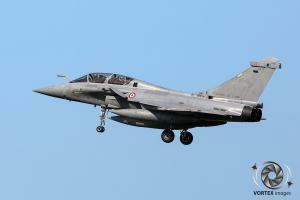 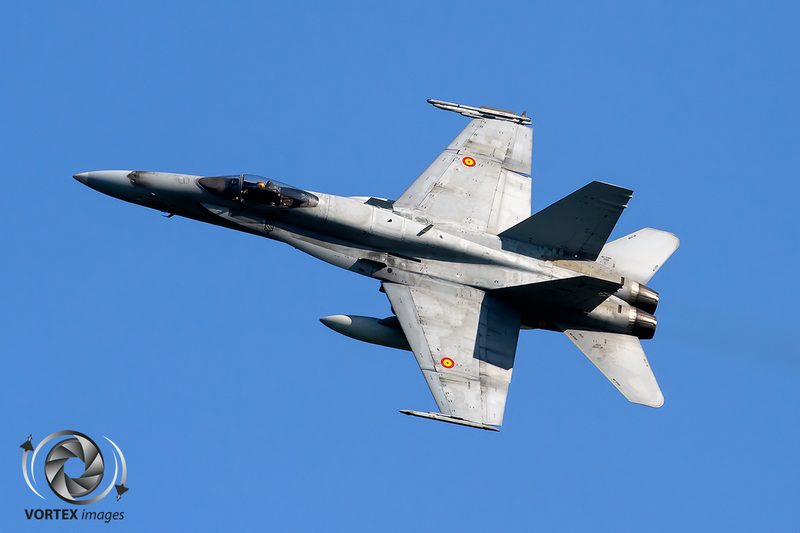 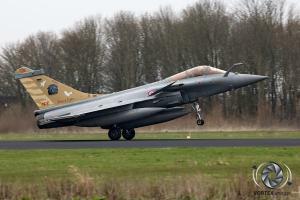 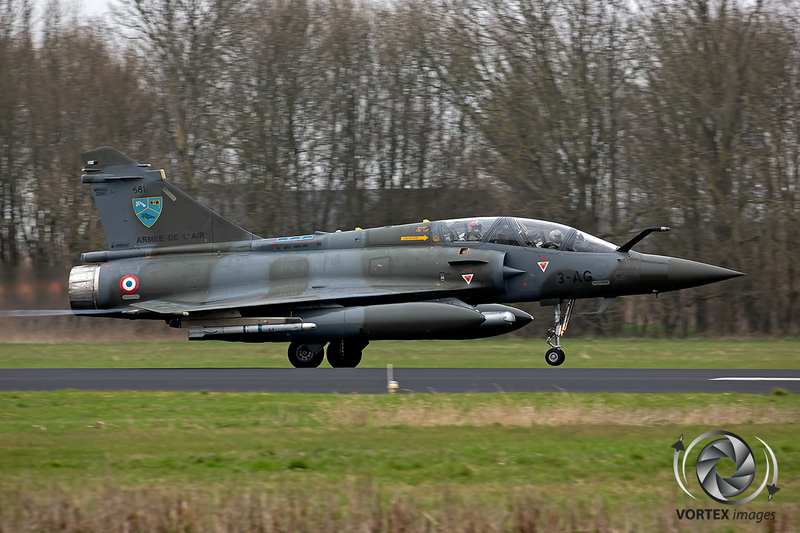 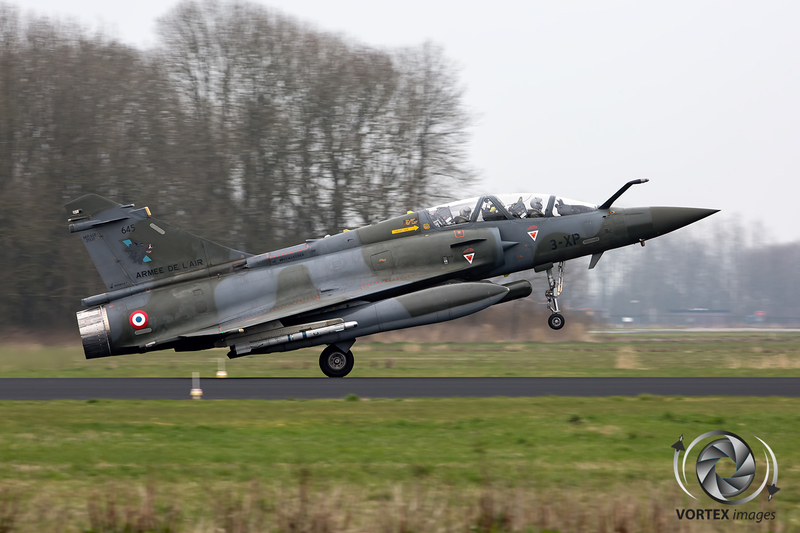 Starting out as a local exercise for the Leeuwarden based squadrons it soon became a NATO wide recognized exercise. 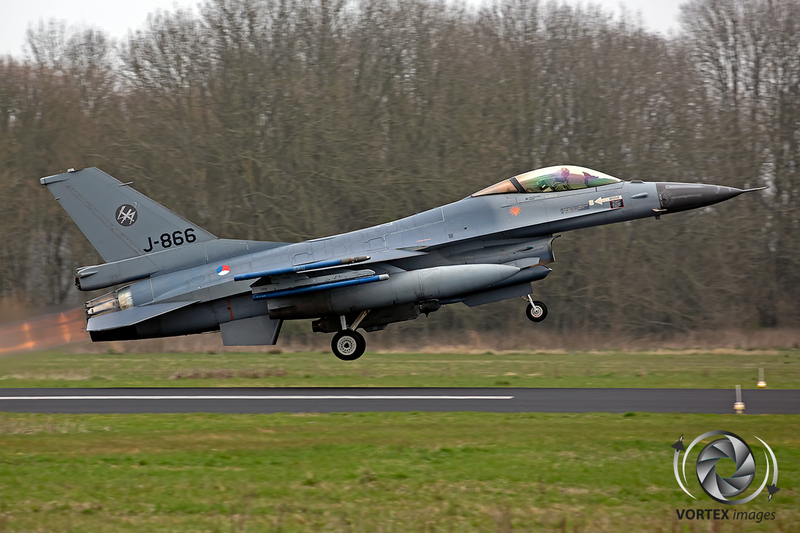 Frisian Flag is considered to be on the same level as the more well-known Red Flag and Maple Flag exercises and due to being held in Europe it is the ideal alternative exercise for the European countries whom can’t afford flying their aircraft all the way to Northern America. The exercise is now so popular in NATO that there is a waiting list for countries to participate. This edition of Frisian Flag had a few “Firsts” that had not been implemented in the exercise in earlier editions. 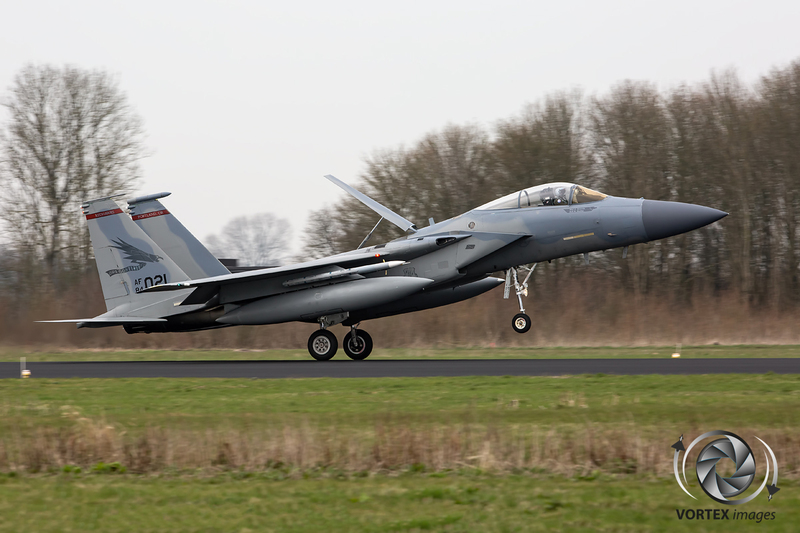 For the first time a civilian company, Discovery Air Defense, provided adversary support during a Frisian Flag exercise. 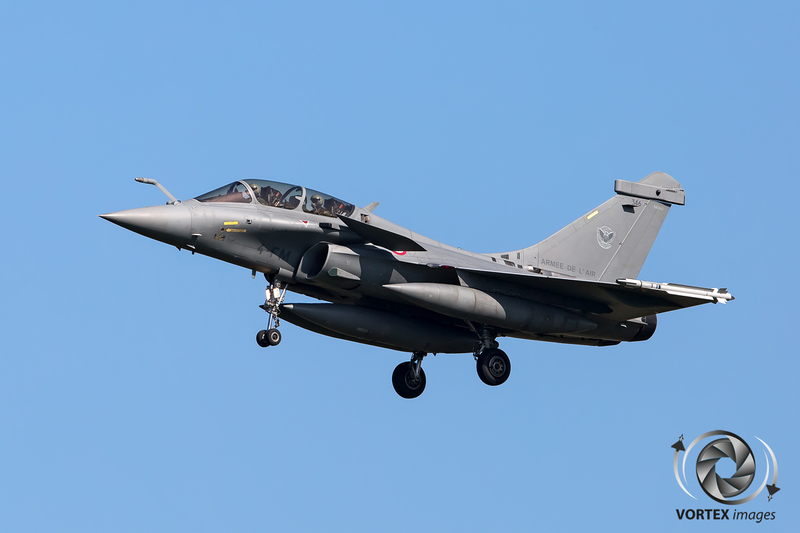 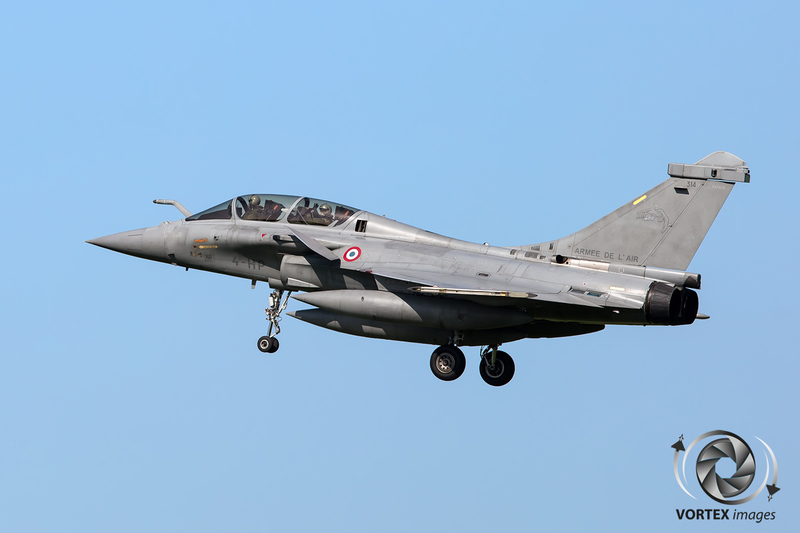 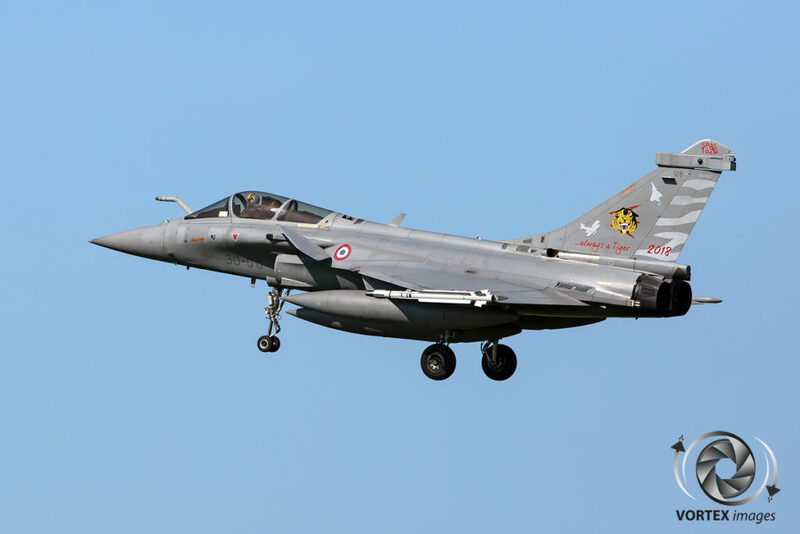 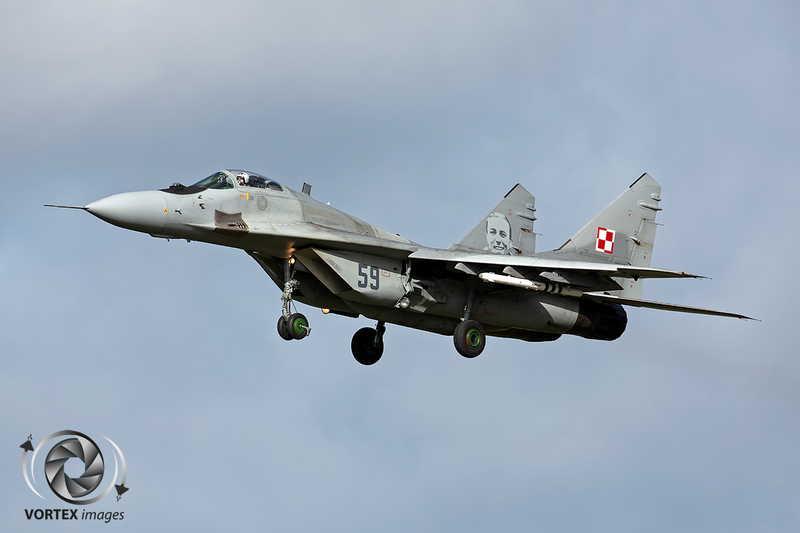 Also the 2018 edition was the first edition that hosted the mighty MiG-29 Fulcrum which of course is the real adversary of many NATO air forces. 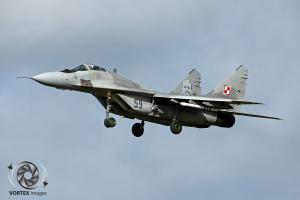 The Polish MiG-29 squadron from Minsk-Mazowiecki brought over three MiG-29s and 50 personnel of which 7 are pilots to participate in this exercise. 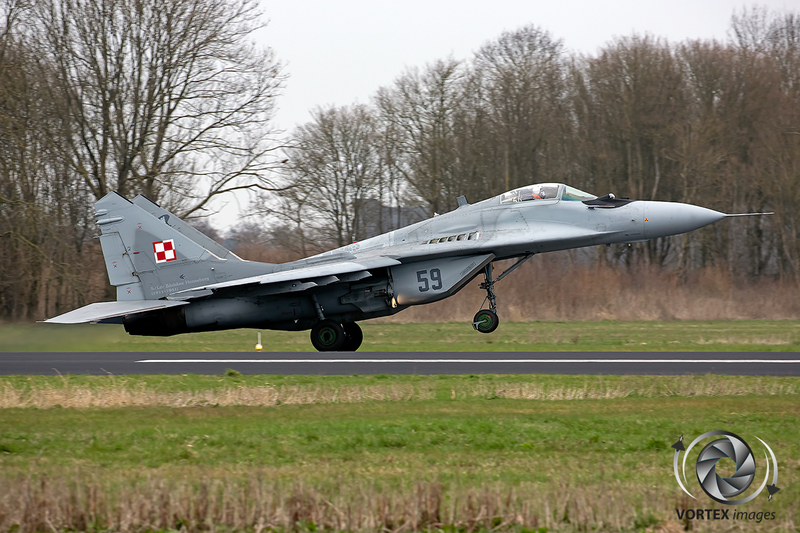 Polish Major Bartosz Kida advised about their role within this exercise: We came to Leeuwarden to learn and become better fighter pilots, as the MiG-29 is a Russian build aircraft we are playing the “bad guys” during this exercise. Hopefully in the future we can participate again to allow more pilots to experience exercises like this. 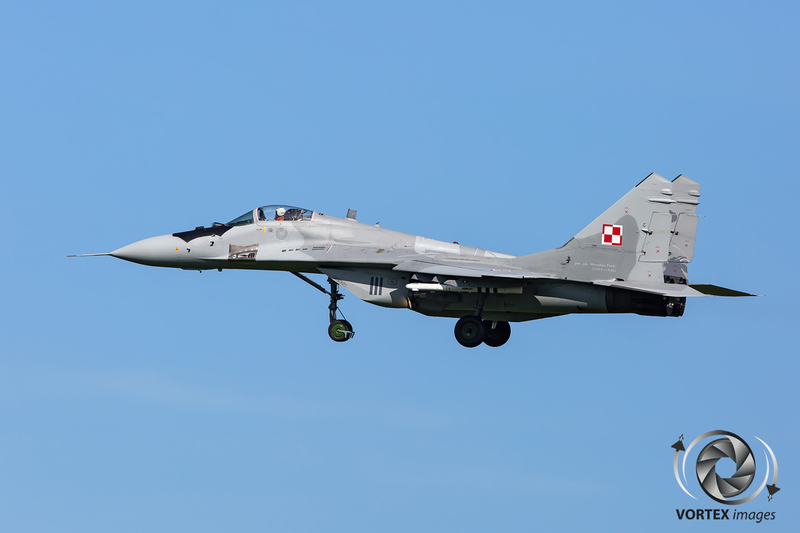 Although the Polish MiG-29s were dedicated aggressors of the exercise, each participating Airforce had to take turns to provide additional red air support. 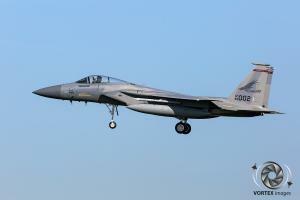 A familiar appearance in recent Frisian Flag exercises is the participation of USAF ANG units. 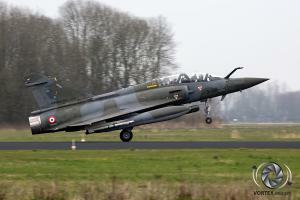 This year was no exception as the Theater Support Package (TSP), supporting Operation Atlantic Resolve, consisting of aircraft and personnel of both the 131st Fighter Squadron from the Massachusetts ANG and the 123rd Fighter Squadron from the Oregon ANG started their TSP by participating in the Frisian Flag exercise. 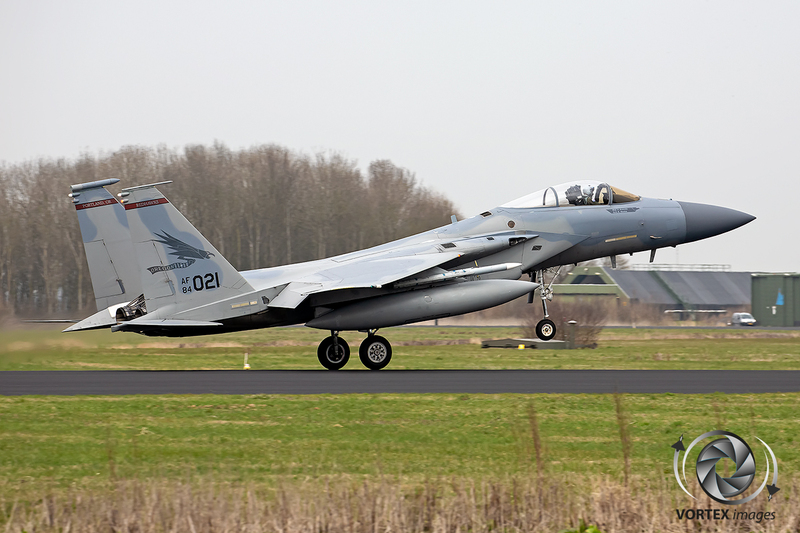 Compared to other participants who arrive the Thursday or Friday before the start of the exercise, the USAF arrived two weeks earlier. 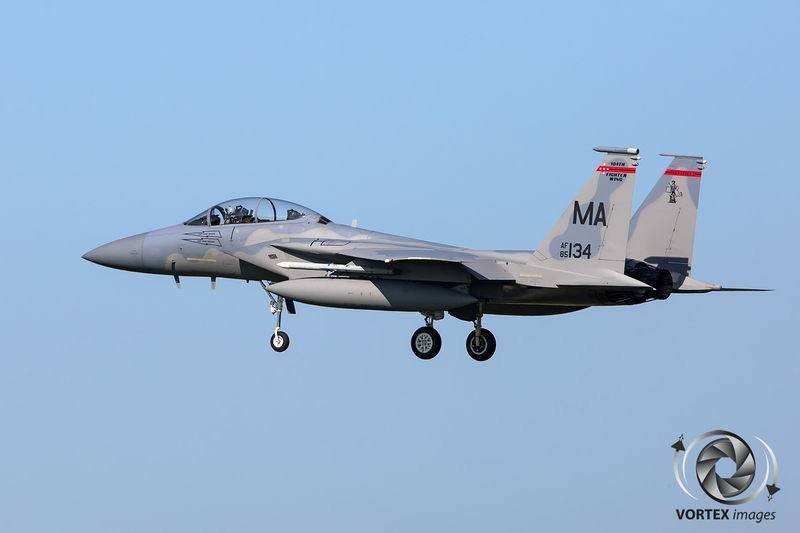 According Col. George Downs, TSP coordinator within the USAFE, the USAF arrived earlier to be able to make sure the aircraft and personnel are ready for the exercise. 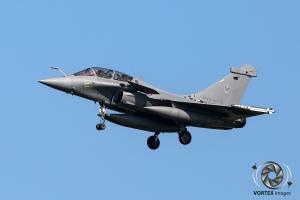 They also get use to the much busier European Air space and its procedures. 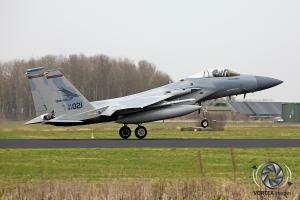 After Frisian Flag ends they will forward deploy to an undisclosed locations in Europe. 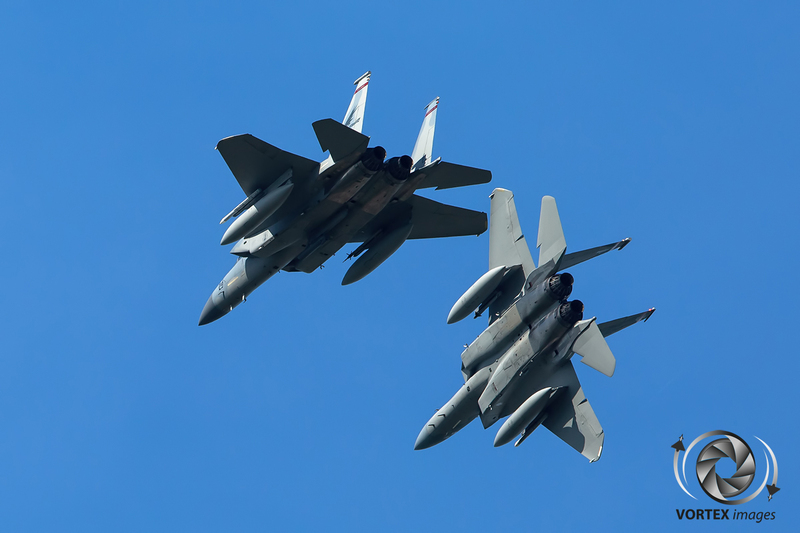 The TSP typically runs for six months with the lead of the TSP shared between the two ANG units after which they will be relieved by another TSP that is done by a different unit. 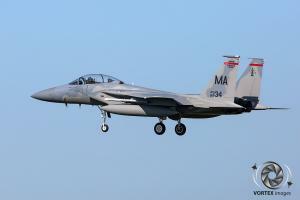 This could either be a F-15, A-10 or a F-16 unit depending the need at that time. 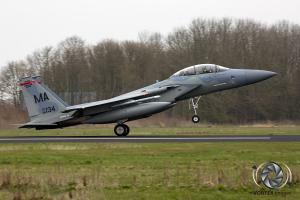 He further adds: Frisian Flag is of an exceptional quality and very much comparable to the Red Flag exercises in the US. For us and other air forces it is very important to participate in exercises like this. This makes sure that we are able to operate together in real life scenario’s should this ever happen.